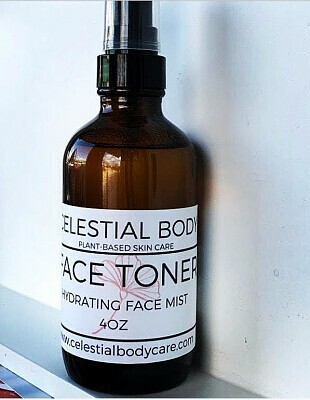 This hydrating facial mist is made with Aloe Vera, Rosewater, Carrot Seed oil, ylang ylang. Keep in your purse for everyday spritzes of moisture and refresh throughout the day. Made for use in our SKIN FOOD KIT. You will fall in love with this!